IKEA stores worldwide are recalling their LURVIG pet water dispenser after reports of two pets becoming trapped and suffocating while using the product. The retail chain announced the recall on Wednesday, saying: IKEA is recalling the LURVIG water dispenser due to a suffocation hazard to pets. IKEA has received two reports worldwide, concerning tragic accidents where the pet has suffocated after getting their head stuck in the water dispenser. 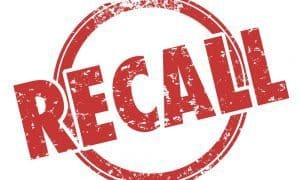 “We are deeply saddened by these events and know that pets are important and loved family members for many of our customers,” said Ikea’s Petra Axdorff in the press release announcing the recall. 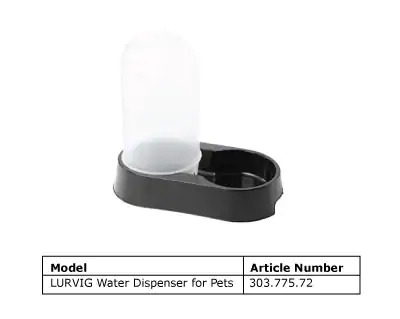 The LURVIG water dispenser was sold in the US stores between October 2017 and June 2018 for $7.99. IKEA urges customers to stop using the water dispenser and return it to any IKEA store for a full refund. For more information, please visit www.IKEA-usa.com or contact IKEA at 888-966-4532.